The original and the best, Safari Snorkels have been the choice for 4x4 enthusiasts the world over since their conception in the 1980s. Over the last several decades, Safari Snorkels have become popular with drivers of every ilk, and seeing a Safari Snorkel mounted on an SUV or 4X4 is now a commonplace sight on roads all over the country. Safari Snorkels manufacture off-road snorkels to suit Australia's most popular offroad, SUV and 4x4 vehicles including the Nissan Navara, Mazda BT50, Ford Ranger, Toyota Landcruiser, Land Rover Discovery, and many more. Do I Need a Safari Snorkel? Safari 4x4 are one of Australia's leading specialists in 4x4 equipment, particularly 4x4 snorkels. Servicing just about every popular 4x4 and off-road vehicle available today, Safari Snorkels have become immensely popular over the years with drivers across the globe. Whether you’re a recreational or commercial off-road driver – or even someone who likes taking the occasional trip off the beaten track – a Safari Snorkel can be a great way to ensure that your engine receives a consistent flow of cool air. This helps to maximise your engine’s performance and ensure you always get the best out of your vehicle. If you’re still unsure about whether you need a Safari Snorkel – or which Safari Snorkel parts are the most important for your particular needs – take a look at our carefully assembled Safari Snorkel Buying Guide. What Makes Safari Snorkels the Best? 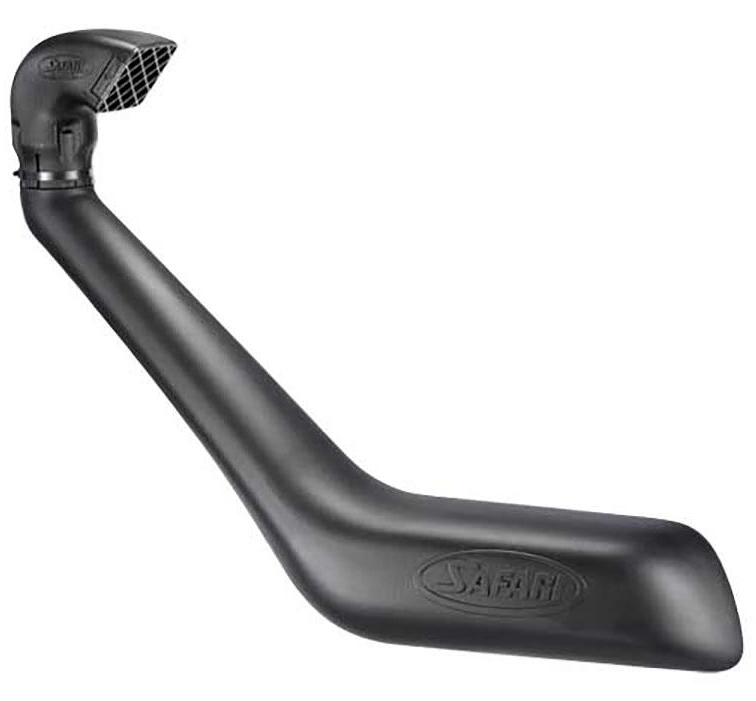 Safari snorkels are some of the most rigorously tested, proven and engineered products available for any 4x4 today. Born out of the need for drivers everywhere to be able to tackle terrain that would otherwise be completely impassable, every Safari 4x4 snorkel has been made to last the distance, whether you're crossing torrential stretches of water or navigating the dustiest deserts. Sparesbox believes that having high-quality SUV or 4X4 snorkels are key to achieving peak performance. That’s why we offer a massive range of Safari Snorkel kits and Safari Snorkel parts. When you install a Safari Snorkel, Australia becomes your playground.